For Mother's Day, we've taken a look at the most famous mothers in art to celebrate all things maternal! 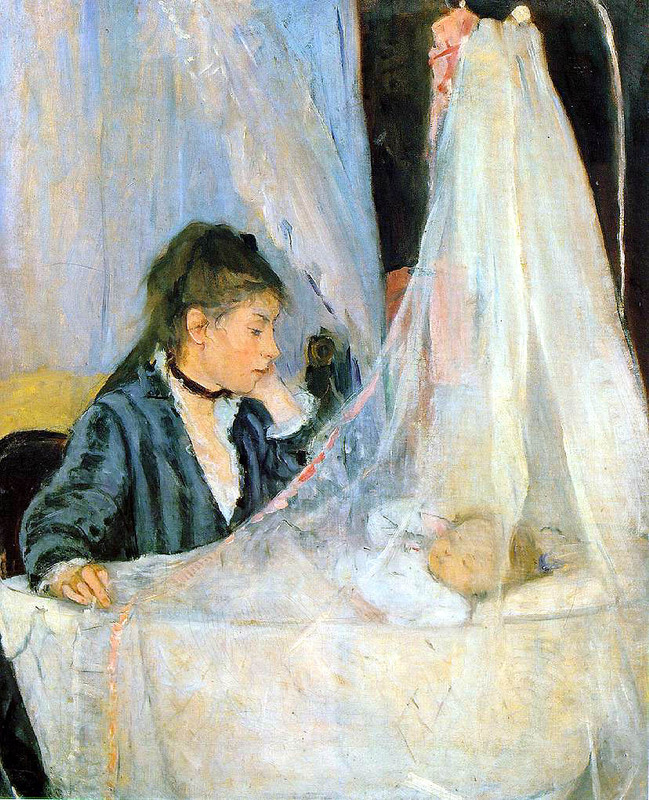 Undoubtedly the most famous painting by the First Lady of French impressionism, Berthe Morisot, the Cradle shows the immediate bond between mother and infant. The Cradle is a portrait of Berthe’s sister Edma with her baby daughter, Blanch. The love-at-first-sight depicted in this painting is contagious, we know we immediately fell for it! A lesser known work of Van Gogh, this 1888 painting of his mother-turned-muse, Anna Carbentus van Gogh was painted from a black and white photograph. Van Gogh’s introduction to art was through his mother who was an amateur artist. Despite family contention, Van Gogh and his mother reconnected when he shared his art with her. Though he’s most known for his depictions of celebrities, even Andy Warhol had a soft spot for the matriarch in his family. This silkscreen pays homage to his mother who was artistic in her own right, winning awards for her decorative handwriting. She's also the only mom on our list who collaborated with her creative offspring - creating calligraphy for his illustrations! This portrait of Florence Owens Thompson and her children has become a quintessential piece in photojournalistic photography. Taken by American photographer Dorothea Lange as she was concluding a month long project photographing migrant workers, the look of worry on the subject’s face is something that all mothers can relate to. 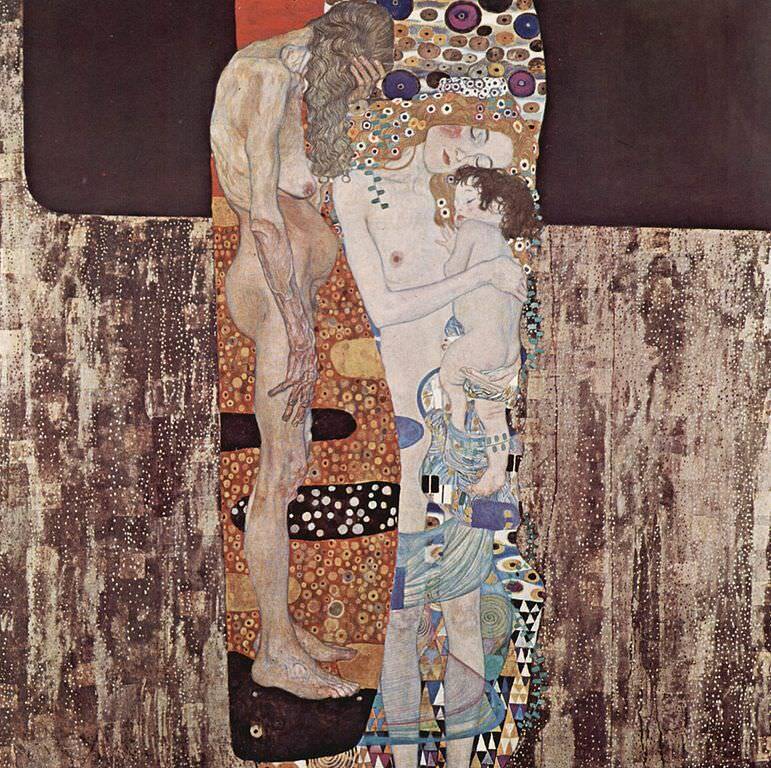 Sometimes known as Mother and Child, this classic work by Austrian painter Gustav Klimt was one of his personal favorites. A highly symbolic work, the three female figures are a metaphor for life cycles, admiringly depicting the beautiful relationship between mother and child. We’d be remiss to leave out the most famous mother in history from our list. This classic work by Renaissance sculptor Michelangelo Buonarroti depicts the holy mother in such a humanizing way capturing the lifelong bond between mother and child. We couldn’t leave arguably the most famous painting of a mother off this list. Arrangement in Grey and Black No.1, or more commonly, Whistler’s Mother, has become a pop culture icon being used in everything from Mr. Bean to inspiration for Alfred Hitchcock’s Psycho. What artwork reminds you of your mom?